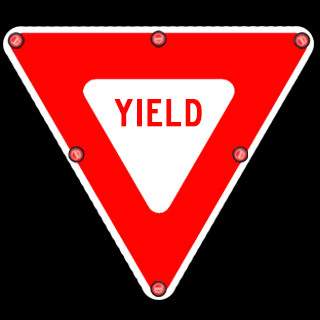 Search Results for : "yield sign"
Power Type AC (120 Volt). Diamond Grade Type IX Sheeting. Choose between Engineering Grade or High Intensity Prismatic sheeting. Available in 2 different sizes with Engineering Grade or High Intensity Prismatic sheeting. 24" Diameter portable rolling sign base. Hold sign panels from 9" x 12" to 24" to 24" for 1 or 2 sided display. 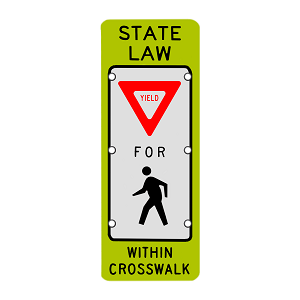 Perfect for schools, Parking Lots, businesses. 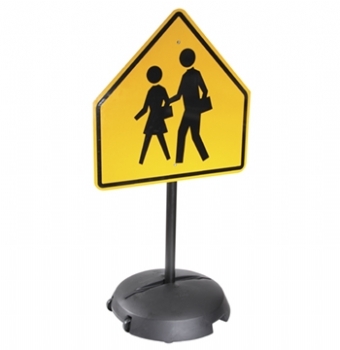 Includes 1 Wheelee rolling sign base, 1 48" heavy duty 2" diameter pole with 6 pre-drilled holes, 1 EZ Grip nylon loop hand strap, 4 Stability mounting plates, 2 bolts (5/16") and flange nuts.